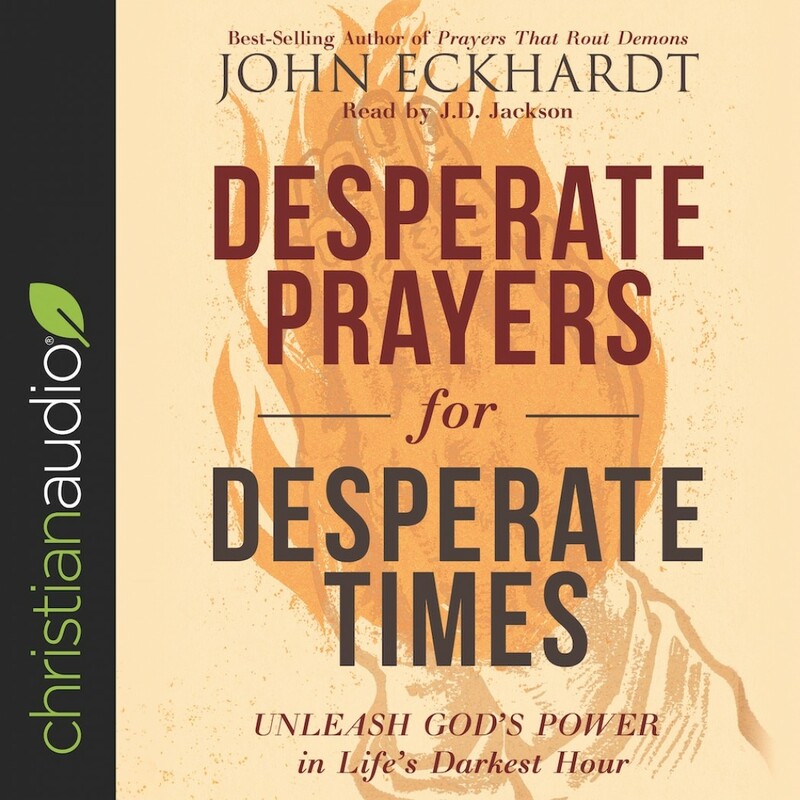 Desperate Prayers for Desperate Times | John Eckhardt | Audiobook Download - Christian audiobooks. Try us free. There is powerful breakthrough awaiting people who pray desperate prayers. Using the prayer of Hannah as a model, Apostle John Eckhardt invites readers to a life of prayer that consistently sees results. Through biblical teaching and practical application, this book takes readers through the five key points of Hannah’s prayer that can help them remain steadfast in prayer. When all options are exhausted and everything we were holding on to has failed, God steps in. He hears our cries and remembers His promises to us. He never turns away the desperate. The dreams and visions God has placed in the hearts of His people will come to pass, when we learn to pray desperate prayers.